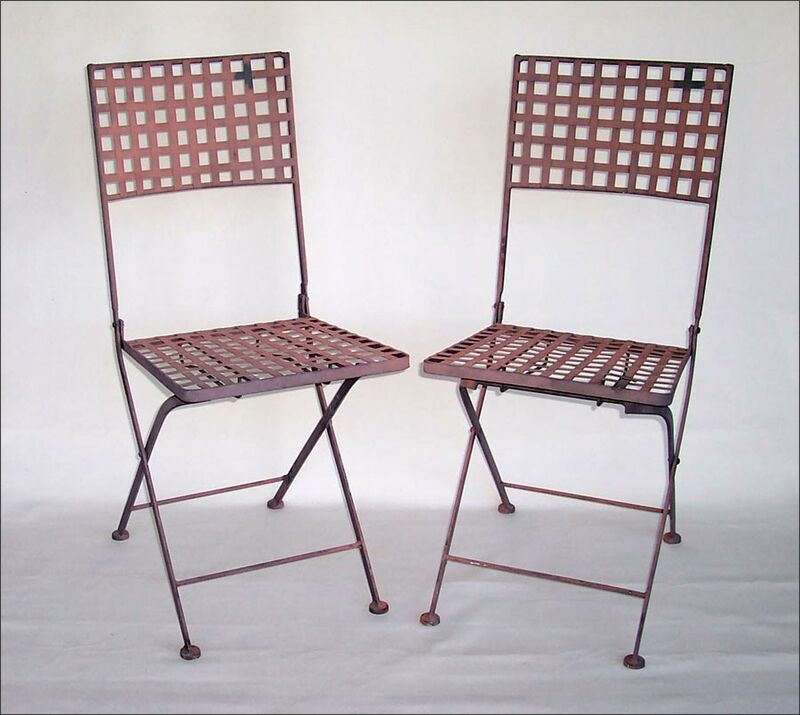 A Pair of Wonderfully Designed Folding Bistro Chairs…or Chairs for the Garden, Patio, Balcony or Deck. These are Older, and Not Wimpy Little Bistro Chairs. Primed and Ready to Paint Your Choice of Color. Only One Pair Available.